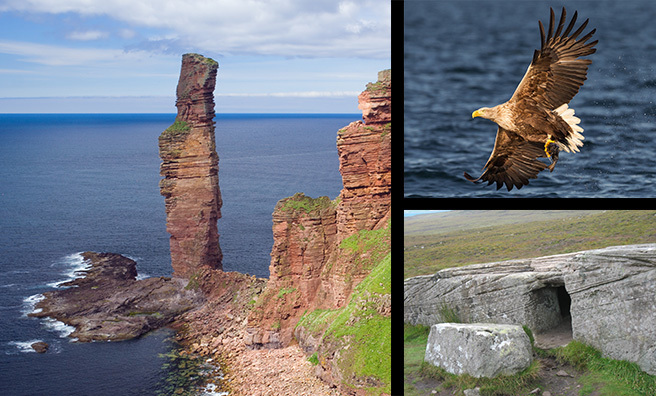 50 years ago this summer 3 intrepid climbers, Tom Patey, Rusty Baillie and Chris Bonnington, climbed a stack of rock off the Orkney coast. 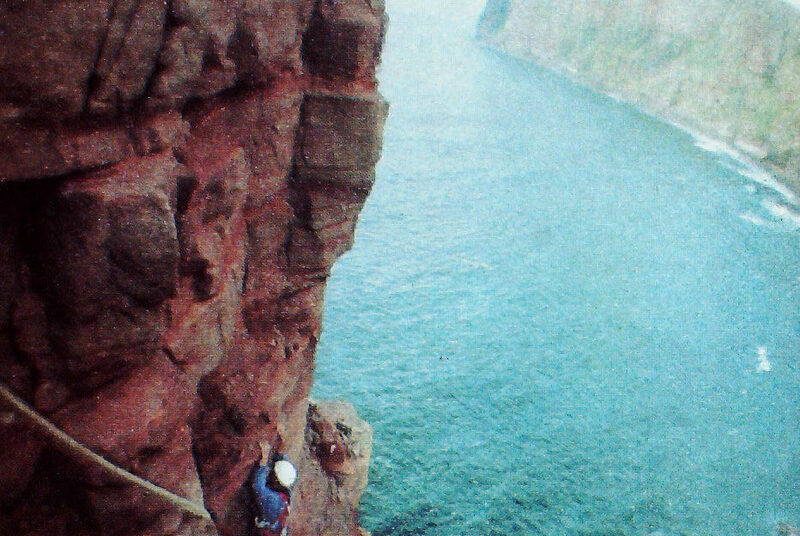 This was the Old Man of Hoy, 449 feet of red sandstone, and since the climb was re-enacted the following year on BBC TV it has achieved fame and some notoriety. 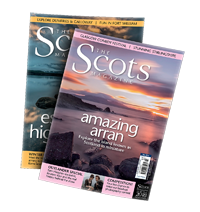 I remember that programme only too well, memories ignited by reading through Patey’s account of the climb in The Scots Magazine of December 1966. It’s always been on my to-do list – not to climb but to see up close. 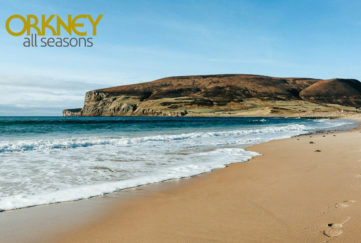 The ferry from Stromness to Hoy was full of like-minded individuals, so the trek to Rackwick was never going to be a lonely one. In fact one of the part turned out to be a Dundonian who was at the same school as me! Small world indeed! It’s good two-and-a-half round trip to the Old Man, but well worth the effort. There can be a touch of vertigo once you near it for photo opportunities, but the vista is amazing. Three ant-like climbers were a third of the way up. Rather them than me! Incidentally, the Old Man only dates from the mid eighteenth century, caused by erosion. It may soon collapse into the sea which would be a shame to say the least. By there’s more to the island than the Old Man. There are resident sea eagles, which I was lucky enough to spot thanks to RSPB sighting post. 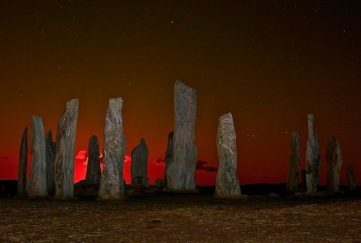 This beside the Dwarfie Stane, Britain’s only rock-cut tomb, hollowed out some 5,000 years ago. 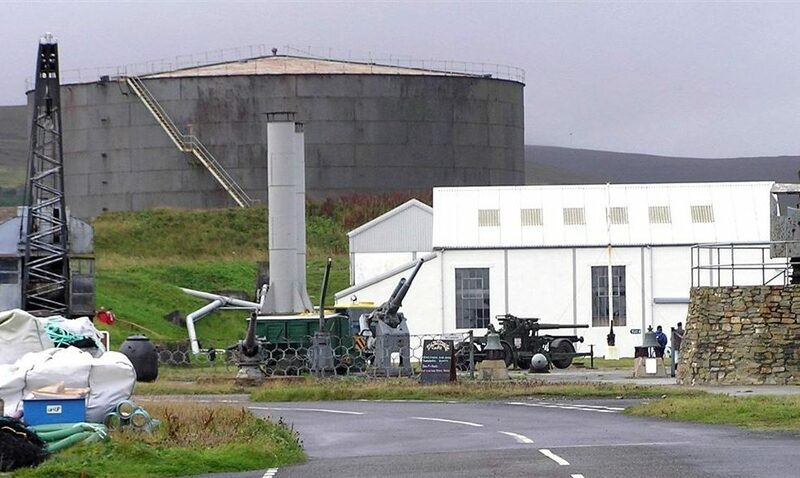 Lyness boasts the Scapa Flow visitor centre and museum, a must for those fans of maritime history. 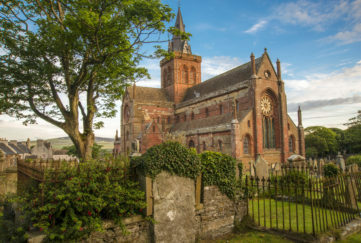 Ward Hill (479m) is Orkney’s highest hill, with wonderful commanding views and St John’s Head, north of the Old Man, is the most vertical sea cliff in the UK (343m). 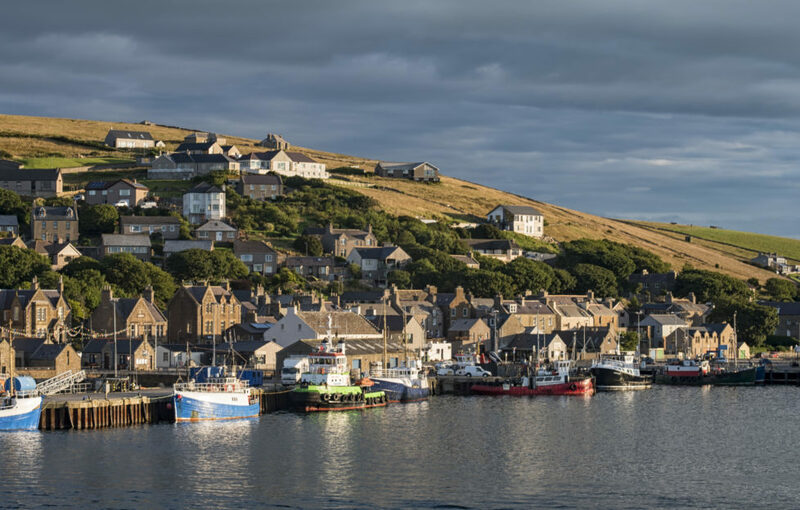 Ferries from Stromness are regular and the half hour crossing brings you to an island which needs more than a day to explore. Rusty Baillie climbs the Old Man for the BBC re-enactment in 1967. Pic taken from The Scots Magazine article from the same year.